From ancient Rome to the Middle Ages, through the crusades, the Cathar epic, the sling and all the jolts of history, the destination Occitania keeps anchored these traces of a past that forged the world. But even beyond these world-renowned sites, from the Gers to the Gard, the Lot to the Pyrenees, the Haute-Garonne to the Lozère, the thirteen departments of the Occitania region abound in sublime and moving places, forged by men and women. nature, which tutenient the history and are today accessible treasures ... According to the orientation of discovery of your groups and GIR, Escapades will propose you the visit of these sites. Eight. 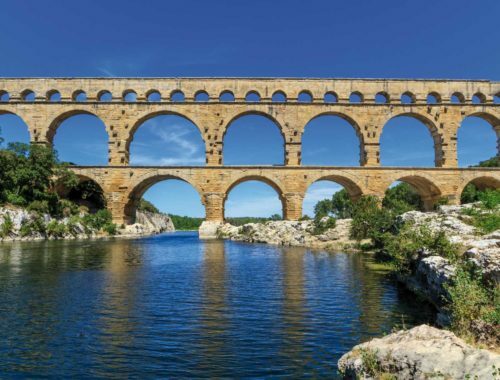 It is the number of UNESCO World Heritage Sites registered in the region, that is to say, almost a quarter of the sites classified in France: Carcassonne, Le Canal du Midi, Le Pont du Gard, the Way of Santiago de Compostela, Causses and Cévennes, the Vauban fortifications.